The Mark Twain House & Museum and Historic Haunts present VAMPIRES!, a spooky, fun-filled evening starting with The Tillinghast Nightmare, a documentary chronicling the transformation of the blood-thirsty vampire from vile, menacing neighbor in rural Eastern Europe to the beguiling, aristocratic stranger known as Dracula. The documentary also explores the Tillinghast family’s decision to exhume the body of their beloved daughter Sarah and burn her heart in 1799 Exeter, Rhode Island . This thrilling documentary screening takes place on Wednesday, October 30th at 7:00 p.m. in the Mark Twain House Visitor’s Center. The film will be followed by a conversation with author Dacre Stoker, the great grandnephew of Twain friend and Dracula author Bram Stoker. Mr. Stoker will be discussing his research on vampires, as well as his book Dracula – The Un-Dead. Tickets are $15.00 and are available by calling (860) 280-3130. According to legend, in 18th century Exeter, RI, Stutely Tillinghast dreamed that half his orchard was destroyed. Soon after, his daughter Sarah became sick and died. One by one, his children took ill and followed Sarah to the grave. To save the lives of those remaining, Tillinghast dug up the body of his beloved daughter Sarah, cut out her heart and burned it. The Tillinghast Nightmare documentary explores the facts and folklore of vampire exorcism in New England in an effort to shed light on this gruesome practice. The documentary also explores the transformation of the vampire from diseased kin to the aristocratic Count Dracula. Award-winning director Alec Asten is from Westerly, Rhode Island. The Tillinghast Nightmare documentary is his second in the Historical Haunts series. 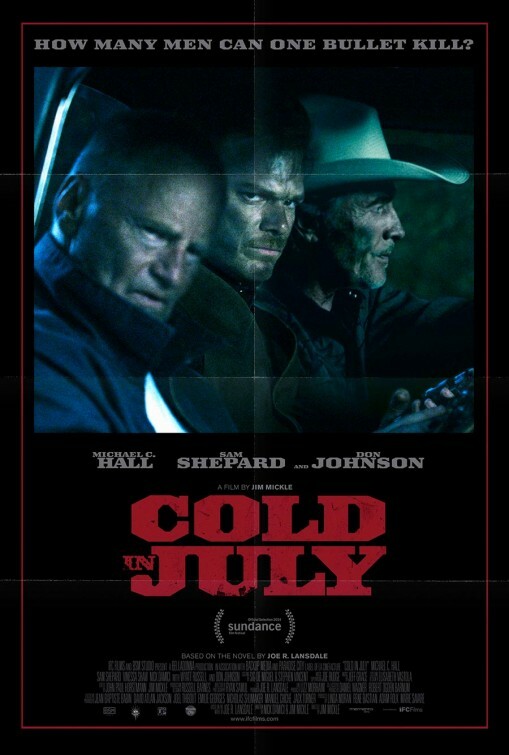 The documentary was filmed at various locations in Rhode Island, Connecticut and Massachusetts. The Tillinghast Nightmare documentary is made possible in part by grants from the Rhode Island Council for the Humanities and the Rhode Island State Council on the Arts. Dacre Stoker, great grandnephew of Dracula author, Bram Stoker will share the Stoker family perspective on mysteries behind the writing of Dracula, including the intriguing connection between Samuel Clemens and Bram Stoker, who were for a time, neighbors in London. Born worlds apart, Clemens and Stoker, shared a rapport built on humor, their similar life outlooks and common interests – spiritualism, as well as science and technology. The two borrowed material – one gentleman complimenting the other: a line from Following the Equator inserted into Dracula and for years, Bram’s story about a priest who jumped to conclusions was a part of Mark Twain’s lectures. Samuel Clemens and Abraham Stoker, writers who each made his indelible mark, interesting individuals and a fascinating friendship. The Mark Twain House & Museum (www.marktwainhouse.org ) has restored the author’s Hartford, Connecticut, home, where the author and his family lived from 1874 to 1891. Twain wrote his most important works during the years he lived there, including Adventures of Huckleberry Finn, The Adventures of Tom Sawyer, and A Connecticut Yankee in King Arthur’s Court. In addition to providing tours of Twain’s restored home, a National Historic Landmark, the institution offers activities and educational programs that illuminate Twain’s literary legacy and provide information about his life and times. The house and museum at 351 Farmington Ave. are open Monday through Saturday, 9:30 a.m.-5:30 p.m., and Sunday, noon-5:30 p.m. For more information, call 860-247-0998 or visit www.marktwainhouse.org. Programs at The Mark Twain House & Museum are made possible in part by support from the Connecticut Department of Economic & Community Development, Office of the Arts, and the Greater Hartford Arts Council’s United Arts Campaign. To understand the vital Muppet connection we have to go back to April 2010. We find Hocking sitting in her tiny, sparsely furnished apartment in Austin, Minnesota. She is penniless and frustrated, having spent years fruitlessly trying to interest traditional publishers in her work. To make matters worse, she has just heard that an exhibition about Jim Henson, the creator of the Muppets, is coming to Chicago later that year and she can’t afford to make the trip. As a huge Muppets’ fan, she is more than willing to drive eight hours but has no money for petrol, let alone a hotel for the night. What is she to do? Then it comes to her. She can take one of the many novels she has written over the previous nine years, all of which have been rejected by umpteen book agents and publishing houses, and slap them up on Amazon and other digital e-book sites. Surely, she can sell a few copies to her family and friends? All she needs for the journey to Chicago is $300 (£195), and with six months to go before the Muppets exhibition opens, she’s bound to make it. “I’m going to sell books on Amazon,” she announces to her housemate, Eric. Let’s jump to October 2010. In those six months, Hocking has raised not only the $300 she needed, but an additional $20,000 selling 150,000 copies of her books. Over the past 20 months Hocking has sold 1.5m books and made $2.5m. All by her lonesome self. Not a single book agent or publishing house or sales force or marketing manager or bookshop anywhere in sight. I’ve come to Austin, legendary birthplace of Spam (the canned as opposed to the digital version), to find out what this self-publishing revolution looks like in the flesh. I can report that, from the outside, it’s surprisingly conventional. Hocking no longer lives in that pokey apartment, but then she’s no longer a struggling would-be author. She’s bought herself her own detached home, the building block of the American dream, replete with gables and extensions, its own plot of land, and a concrete ramp on which to park the car. At 12 she had already begun to describe herself as a writer and by the end of high school she estimates she had written 50 short stories and started countless novels. The first that she actually completed, Dreams I Can’t Remember, was written when she was 17. She was very excited by the accomplishment, and printed it out for friends and family, as well as sending it to several publishers. “I got rejection letters back from all of them. I don’t blame them – it wasn’t very good,” Hocking says. In 2009 she went into overdrive. 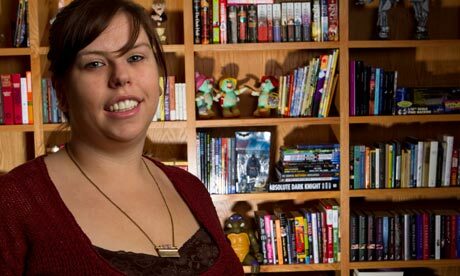 She was frantic to get her first book published by the time she was 26, the age Stephen King was first in print, and time was running out (she’s now 27). So while holding down a day job caring for severely disabled people, for which she earned $18,000 a year, she went into a Red Bull-fueled frenzy of writing at night, starting at 8 p.m. and continuing until dawn. Once she got going, she could write a complete novel in just two or three weeks. By the start of 2010, she had amassed a total of 17 unpublished novels, all gathering digital dust on the desktop of her laptop. April 15 2010 should also be noted by historians of literature. On that day, Hocking made her book available to Kindle readers on Amazon’s website in her bid to raise the cash for the Muppets trip. Following tips she’d gleaned from the blog of JA Konrath, an internet self-publishing pioneer, she also uploaded to Smashwords to gain access to the Nook, Sony eReader and iBook markets. It wasn’t that difficult. A couple of hours of formatting, and it was done. “I didn’t have a lot of hope invested in it,” she says. “I didn’t think anything would come of it.” How wrong she was. By January last year she was selling more than 100,000 a month. Being her own boss allowed her to set her own pricing policy – she decided to charge just 99 cents for the first book in the series, as a loss leader to attract readers, and then increase the cover price to $2.99 for each sequel. Though that’s cheap compared with the $10 and upwards charged for printed books she gained a much greater proportion of the royalties. Amazon would give her 30% of all royalties for the 99-cent books, rising to 70% for the $2.99 editions – a much greater proportion than the traditional 10 or 15% that publishing houses award their authors. You don’t have to be much of a mathematician to see the attraction of those figures: 70% of $2.99 is $2.09; 10% of a paperback priced at $9.99 is 99 cents. Multiply that by a million – last November Hocking entered the hallowed halls of the Kindle Million Club, with more than 1m copies sold – and you are talking megabucks. In internet-savvy circles she has been embraced as a figurehead of the digital publishing revolution that is seen as blowing up the traditional book world – or “legacy publishing” as its detractors call it – and replacing it with the e-book, where direct contact between author and reader, free of the mediation of agent and publishing house, is but a few clicks away. There is certainly something to that argument. The arrival of Hocking onto the Kindle bestseller lists in barely over a year is symptomatic of a profound shift in the book world that has happened contiguously. Her rise has occurred at precisely the moment that self-publishing itself turned from poor second cousin of the printed book into a serious multi-million dollar industry. Two years ago self-publishing was itself denigrated as “vanity publishing” – the last resort of the talentless. Not any more. A survey carried out last year by the book blog Novelr found that of the top 25 bestselling indie authors on Kindle, only six had ever previously enjoyed print deals with major book publishers. With e-book sales reaching $878m in the US in 2010, an almost fourfold increase from the year before, some 30 authors have already sold more than 100,000 copies through Kindle’s self-publishing site. That’s the kind of statistic that made Penguin’s chief executive, John Makinson, say recently that he saw “dark clouds” gathering in 2012. In the end, Hocking became so burned out by the stress of solo publishing that she has turned for help to the same traditional book world that previously rejected her and which she was seen as attacking. For $2.1m, she has signed up with St Martin’s Press in the US and Pan Macmillan in the UK to publish her next tranche of books. 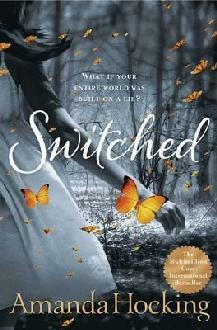 The deal kicks off this month with a paperback version of Switched. It’s a fast-paced romance featuring changeling trolls called Trylle who are switched at birth with human babies. The novel cannot be classed as literary, but then it makes no pretensions to be so. It is precision-targeted at a young-adult audience, and is surprisingly addictive. Once the Trylle trilogy is out, Hocking’s new series of four novels, Watersong, revolving around two sisters who get caught up with sirens, will be released from August in hardback and e-book simultaneously. Switched, the first in the Trylle Series by Amanda Hocking, is out now in paperback and e-book formats, featuring previously unseen extra material. Published by Pan Macmillan in the UK and St. Martin’s Griffin in the USA. For further information, see www.worldofamandahocking.com. Widely hailed as Britain’s most successful “independent” writer, two years ago Leather took three novellas that had been turned down by Hodder & Stoughton and issued them for the Kindle through Amazon. Last year, he put his monthly income from ebooks at around £11,000. 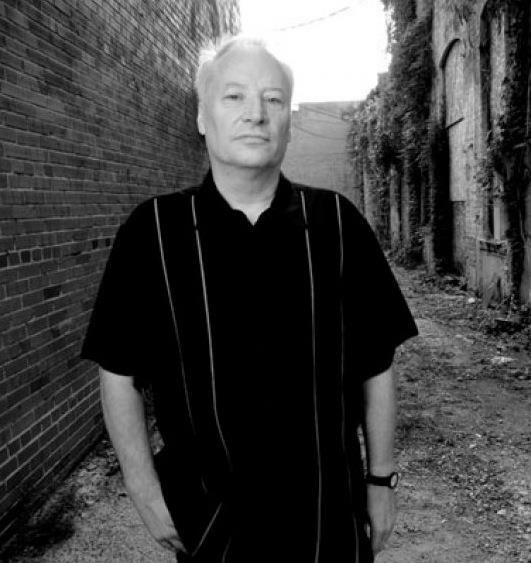 The Chicago-based author is both prolific – he has written seven thrillers, a horror series, and a sci-fi novel, each under a different pseudonym – and candid about the benefits of self-publishing. “One hundred grand – that’s how much I’ve made on Amazon in the last three weeks,” he boasted on his blog last month. Last summer, the one-time insurance salesman from Kentucky became the first self-published author to sell 1m Kindle e-books. Alongside his lurid thrillers fans can download an advice book entitled How I Sold 1 Million eBooks in 5 Months!. German novelist and film-maker Pötzsch has reached the highest echelons of the Kindle bestsellers list with the English translation of his historical novel The Hangman’s Daughter. It’s a big success story for AmazonCrossing, which identifies books selling well in other languages, and republishes them in English. And, for Grisham at least, the “abnormality” of The Firm‘s commercial success soon became the norm. His subsequent series of legal thrillers has gone on to sell close to 300m copies and been translated into 40 languages. Nine of his novels have been turned into films starring A-list actors such as Julia Roberts, Gene Hackman, Sandra Bullock, Susan Sarandon and Dustin Hoffman. They have been directed by Sydney Pollack, Francis Ford Coppola, Joel Schumacher and Alan J Pakula. Grisham regularly features on literary rich lists with an estimated fortune of $600m and an annual income in the tens of millions. For most of the 1990s Grisham Day, when his new book went on sale, was a fixed point of the publishing year – to be avoided by other publishers and celebrated by bookshops. Grisham has occasionally moved away from the legal world in his novels, and has also made sorties into non-fiction – in a book about a miscarriage of justice – short stories and, recently, children’s fiction. But all his work has a concern for social issues and often deals directly with the legal and moral questions around such matters as the death penalty, homelessness, health insurance and prison conditions. Like the best crime fiction, his books often focus on where society is broken, and while he prefers not to call himself a liberal – “I am a moderate Democrat” – he remains politically engaged. As a strong critic of the Iraq war he was delighted to see Bush leave office, but he was, and remains, wary of Obama. 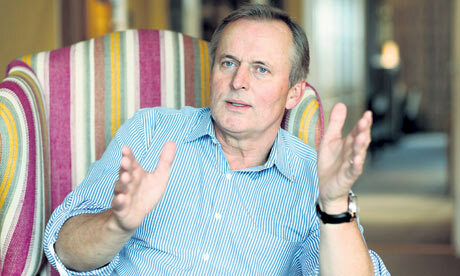 In his late teens Grisham took on a string of dead-end jobs before embarking on a series of unfinished college courses. It wasn’t until 1981 that he graduated with a law degree and set up shop as a criminal and personal injury lawyer in Southaven, Mississippi. In The Litigators there is an idealistic speech about the value of working with “real people with real problems who need help. That’s the beauty of street law. You meet the clients face to face, you get to know them and, if things work out, you get to help them”. It comes straight from Grisham’s own experience – the philosophy of his law practice mirrored his politics. “I represented real people, poor people, who often couldn’t afford to pay a lawyer, but still had problems. Directly across the street from my office were insurance companies, banks and big corporations. It was a very clear line between us, and I learned very quickly who my friends were. That’s when I became a Democratic activist and eventually ran for office.” He ran specifically on a platform of improving education in the state – “I found Mississippi’s lack of emphasis on education embarrassing” – and was elected in 1983, aged 28. “And when I got there I just couldn’t get things done. I was very naive, homesick for my young wife and baby and distracted. Ultimately my heart just wasn’t in it.” Grisham had married Renee Jones in 1981 and they have two children: Ty, who is a 28-year-old lawyer doing much the same type of criminal work his father did 30 years ago, and 25-year-old Shea, who is a primary school teacher.